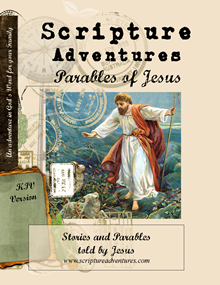 Get this free Parables of Jesus unit at Currclick. This resource is typically $4.99 and perfect for Easter! This resource introduces children to the beautiful stories and parables of Jesus with easy-to-read text, illustrations, comprehension questions, memory verses, copywork, and drawing pages to reinforce learning. Suggestions for presentations that kids give to the family are included. Learn about the Parable of the Good Samaritan. Read about The Lost Sheep. Find out why Jesus told the Parable of the Ten Maidens. Kids will love exploring the stories that Jesus told. Perfect for young readers. 46 pages.